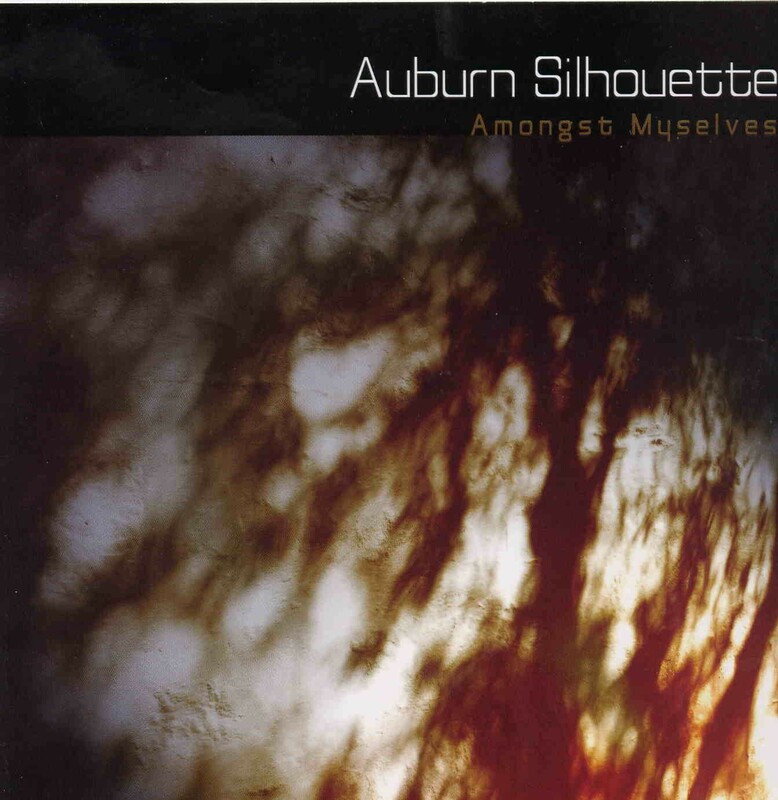 Amongst Myselves is Australian Steve Roberts and Auburn Silhouette is his fourth CD. GREYBOX SHADOW birds and majestic keyboards, drones and swells, yes very nice! Beautiful soaring feelgood bodybuzz music! Then the deep end percussion...like Tangerine Dream, almost new agey but it's not. BAY OF DREAMS softer, lilting space, more birds...babies talking? Very well recorded! Lush deep space! STAR similar to previous track, more lovliness. Nice stereo blips and blaps! Submarine sounds, soaring drones! MUNSTEAD HEATH spooky laughter in outerspace, tinklin' things, bells and more bells! Drones that are calming and frantic at the same time...changes pace.....HOLE IN THE SKY starting to sound a little samey but still beautiful. A CD to listen to over and over to get the Love Buzz. Whoops! Now it's hard rock, wasn't expecting that! But with full on rock drums bass and guitar it still sounds beautifully awesome. Some deep space keys! Pretty killer! SOUTHERN LIGHTS this one starts in deep space and at around 3 minutes comes the uptempo percussion. Tribal, yes very nice! UP INTO THE AIR AND OVER THE EDGE deep deep space, very still, soaring spooky nice! At 3:40 some lovely acoustic guitar! Big heavy noisy drone in the background! A marimba?!? Some Peter Frampton guitar talking! People from down under are over the top! Get's loud, television squawking! PERFECT MUMU Oh, the short one! Some funky Edgar Winter keyboard! WINTER OF THE FALLING STARS some Neil Young country strum with loopy keys bubbling past! A total change of pace from previous tracks, now the tablas, 2nd lead guitar, very 1969 Los Angeles with the big rock drum. Wow, top 40 dude! Just needs some Linda Ronstadt vocals, wow, here they come! No lyrics yet! Yes, very 70's but very cool with modern production! See, experimental musicians can rock out if they want, they just don't usually want to! The Amongst Myselves "Auburn Silhouette" DVD....SOUTHERN LIGHTS the forest at night, fast photography with clouds whizzing by and stars rotating around in the opposite direction. Pretty damn cool! All of this along with the majestic Amongst Myselves music! The film is very professional and artsy, I wonder who shot the footage? Makes you wonder how an experimental band could have a budget to do something like this? The final product is very very impressive! Reminds me of the movie Koyaanisqatsi! The visuals are so impressive you don't really notice the music, unfortunately! The film versions of the songs are a bit longer than the CD versions. Filmed during a week in Aroona Valley and Mt. Little Station, Flinders Ranges, South Australia. STAR deep space shot, were they filming from the Mother Ship? Wow, you have to wonder how they got this footage?!? Beautiful film with intense colors and clarity along with the great Amongst Myselves music. Again, this film is so awe inspiring that you almost don't notice the great music! These are beautiful films of deep space!!! Pretty cool...."This film could not have been made without the fantastic work of the people behind teh Hubble Space Telescope."